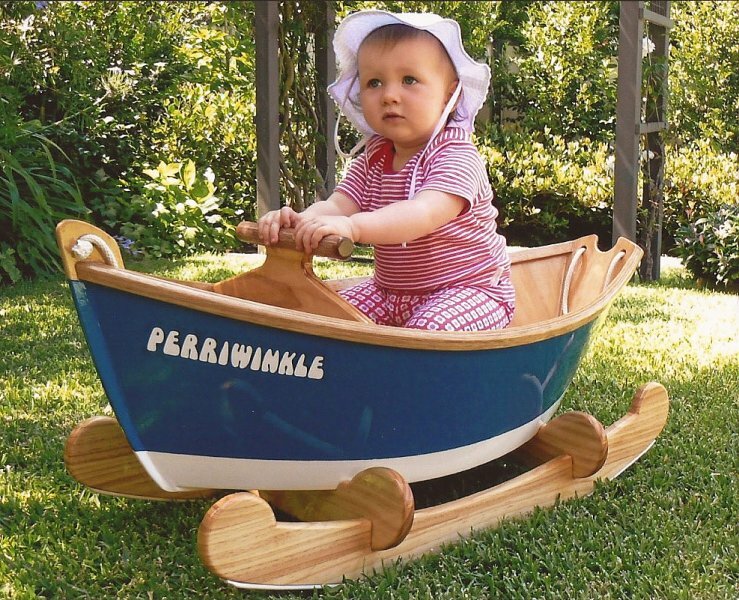 Mark Esdaile built this dory rocking boat for his granddaughter, Perri, aged 14 months. PERRIWINKLE is 3′ long by 18″ wide. Mark built her with scrap hoop pine plywood, pine shelving, epoxy, and love.